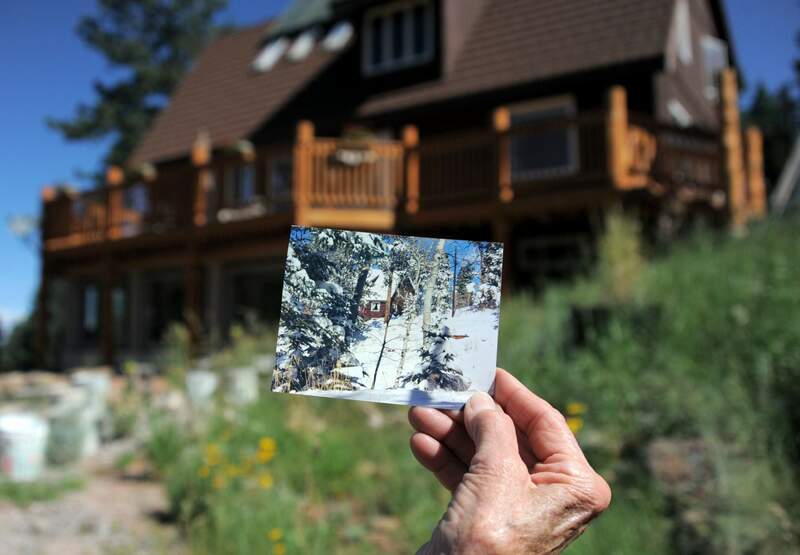 Jean Blaisdell holds an old photo showing the outside of her home, when it was a smaller cabin and trees grew right up to the building in Ridgewood. More than half the homeowners in the community have taken steps to make their houses more fire safe, from chopping trees to choosing noncombustible building materials. As of Monday, FireWise of Southwest Colorado will change its name to Wildfire Adapted Partnership. The grass-roots organization, which started in 2003 after the Missionary Ridge Fire, received its 501(c)(3) 3 tax-exempt status this summer. “Wildfire Adapted Partnership inspires, motivates, educates and serves individuals, organizations and communities joining together to protect lives and property from wildfire,” director Ashley Downing said in a news release. It has wildfire education and mitigation programs in Archuleta, Dolores, La Plata, Montezuma and San Juan counties. The Neighborhood Ambassador Program relies on volunteers who encourage their neighbors to become prepared for wildfires. About 150 volunteers participate in the program, representing 95 neighborhoods in Southwest Colorado. WAP also reimburses homeowners who complete wildfire mitigation activities through the Chipper Rental Rebate and Defensible Space Site Visit and Cost Share programs. In the past 18 months, the organization has completed about 450 free site visits, providing homeowners with guidance on how to protect their properties from wildfire, and has spent more than $275,000 in rebates to homeowners and communities who completed fire mitigation activities. For more information, visit wildfireadapted.org or call its Durango office at 385-8909.